I have been drawn in, once again, to Crispina’s CCC challenge. First of all, because the sunflower is my favourite flower – even when she is spent and ready to be put to rest. I didn’t want to focus on her death but could not avoid it. And then, what the hell was I thinking? I decided to try my hand at a double etheree (didn’t even know what that was before Willow introduced me to one a good while back). And then, yesterday, Merril went and posted a beautiful one and somehow here I am trying my hand at writing crazy stuff that I know nothing about. Call me crazy. 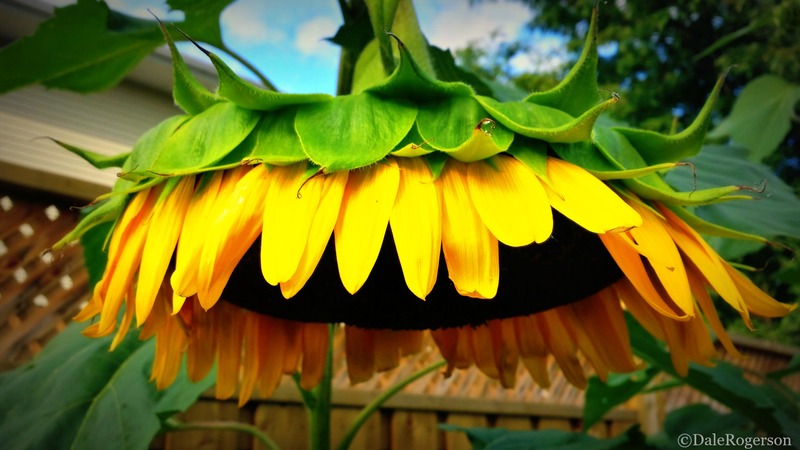 This entry was posted in Crimson's Creative Challenge, Poetry and tagged #CCC, death, double etheree, life, rebirth, sunflowers. Bookmark the permalink. Wonderful how you went full circle here. I always think sunflowers look like they’re smiling. They are such happy flowers, I think! “Like” is not strong enough for this. Very nicely thought out and written. Thank you so much, Oneta!! Enjoyed the full-circle, Dale. Excellent job. That circuitous route from life to death to life again, all in eighty nine sumptuous words! I love how you pushed the rhythm from end to new beginning in such a melodic way. It felt as if I was reading a book from the last page to the first page. Cleverly opening it up again where it appeared closed. And that sunflower looks like a natural shower head. I really wanted to bring that sunflower back to life. I love that you loved this. And felt it was melodic. I am ridiculously pleased. I love when a piece of work has a rhythm to it, like a song. 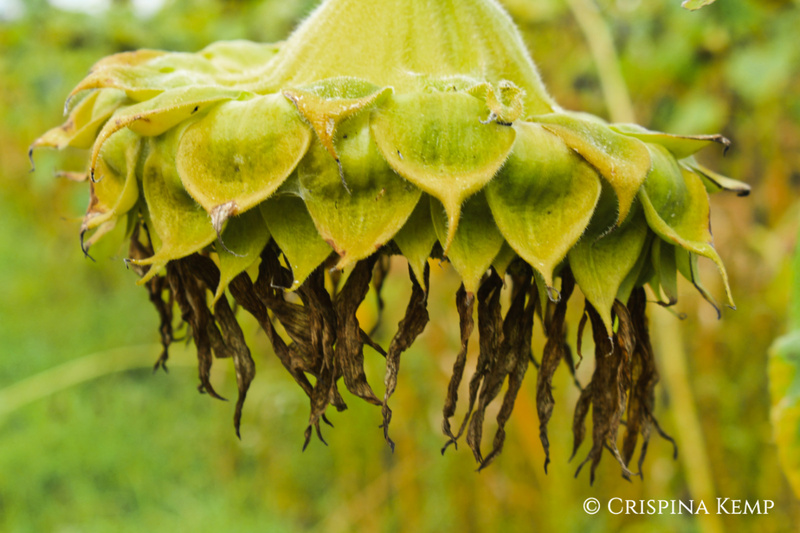 The pace, like the sunflower, ebbs before the delicious flow. Finding its redemption, its entire reason for being in that last stretch. Love that you see all this. Of course I do. It’s all right there. Bravo, Dale, well done. You hooked me from word one. Hi Dale that is a beautiful double Etheree and you very cleverly began with dead and ended in life. Thank you for the mention. I love your poem 💜. That pleases me to No end! Good stuff, Dale. Your words and the shape of your poetry are inspired. I love the way you portray the circle of nature. So very happy it did. On my first attempt! Woot! I am lucky. I had two! You watch the squirrels and birds go nuts over the sunflowers and you know they’re sustaining another generation. You eloquently described it in your poem. Thank you! Thank you so much, Nancy!! Bittersweet and beautiful, true, positive and reassuring. Well done, Thunder! Hawkeye sounds too harsh but you do see everything… But I want something that showcases those beautiful gowns you make. Very well done, Dale. Love the message and creativity. Thank you, George.so very glad you enjoyed. Full circle and around again, I’d say. Nice lap! Thank you for going for the walk! I totally love walks. With or without sunflowers. But sunflowers are truly happy flowers, are they not? This is simply brilliant, Dale. Is there anything you can’t write?